Aww Wook at the Cute Wittle Fwaps on This Wam!! Filed to: Yes I realize that he light is green it had just changed and the backed up traffic wasn’t moving yet.Filed to: Yes I realize that he light is green it had just changed and the backed up traffic wasn’t moving yet. Yes I realize that he light is green it had just changed and the backed up traffic wasn’t moving yet. I just noticed these tiny pointy flaps behind the rear wheels on this 2019 Ram today. I’m assuming they are to help eek out another 0.2 MPG. Neat! 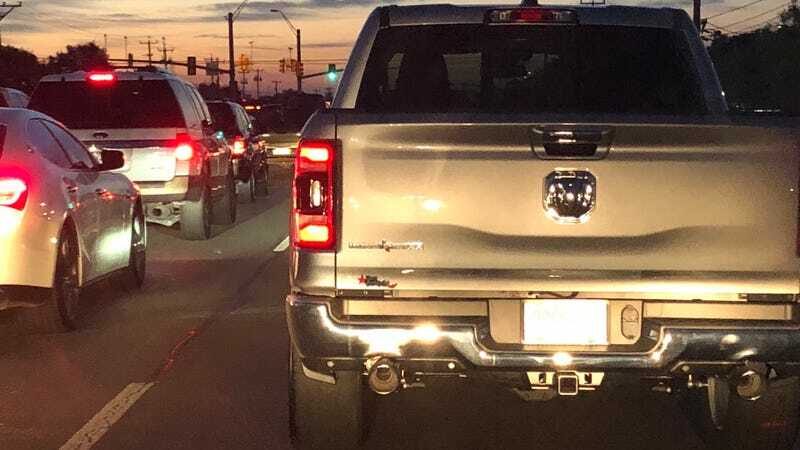 Also, is this the first Ram ever with amber rear turn signals? !